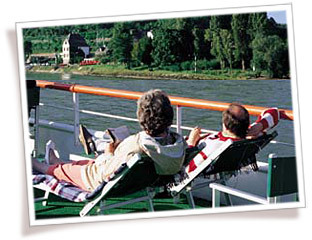 INTRAV's riverboat cruise programs offer not only unparalleled scenery around every bend, but the most convenient, comfortable, and relaxing way to experience Europe with a small group of English-speaking passengers during the prime touring months. With congested highways the norm in Europe, river cruising is more attractive than ever. Your exclusively chartered riverboat serves as your "floating hotel" - eliminating the need to pack and unpack time after time - and your captain ties up in the heart of historic cities, medieval towns, and small villages. View the constantly changing scenery from your riverboat's spacious sun deck or the comfort of the window-lined lounge and dining room... or even from the privacy of your cabin. There's no need to see Europe while confined to the seat of a motorcoach! In excess of 400,000 travelers have enjoyed exploring the world with INTRAV since their founding in 1959. In large part, this success is due to their commitment to quality control. More than 90 percent of their travelers complete evaluation questionnaires, enabling them to monitor the standards of hotels, ships, and local sightseeing operators as well as transportation and logistics. This helps ensure a seamless, highly rewarding travel experience for you. INTRAV is now part of the Zurich-based Kuoni Travel Group. Founded in 1906 and one of Europe's largest travel companies, Kuoni is currently the world's leading tour operator based on votes cast by travel agents worldwide. You can now travel with added confidence and peace of mind knowing that Kuoni has offices all over the world. Together, we offer decades of international expertise providing you with travel programs of quality and substance. From the time of your confirmation, INTRAV will supply you with comprehensive information about your trip as you prepare for departure. We will keep you fully informed of all details, including tips on what to bring and how best to enjoy your adventure with INTRAV. 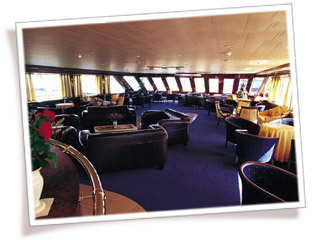 All of the programs are escorted by travel directors whose mission is to ensure your trip is enjoyable and runs smoothly. They are full-time INTRAV employees who will accompany you throughout your journey. During hotel stays associated with INTRAV river cruises, local representatives will staff a hospitality desk for the exclusive use of guests. All of the sightseeing and shore excursions are included with the INTRAV European Waterways Cruises, providing you with the best possible way to experience the diverse destinations you'll visit. INTRAV has selected experienced local companies with reliable, English-speaking guides who are eager to show their native lands to visitors. Of course, there are also ample opportunities to explore on your own and to pursue individual interests. INTRAV was recently named the "World's Leading Luxury Specialist Tour Operator" from the World Travel Awards organization. Established in 1993, World Travel Awards was created to acknowledge and celebrate excellence in all areas of the world's travel and tourism industry. More than 25,000 travel agencies in 200 countries around the globe participate in nominating travel and tour operators, and voting on the relative merits and achievements of each. 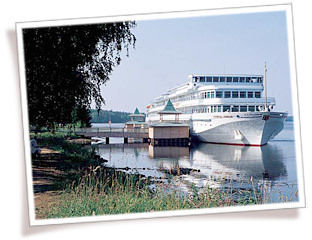 Interested in learning more about INTRAV River Cruising?